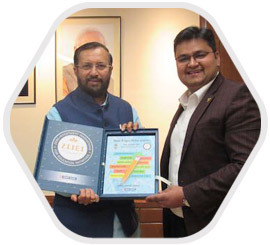 Currently, about 24 lakh teachers and principals in over 6 lakh schools are being connected through Rupantar to improve education using existing resources, impacting 80 million students in 12 states of the country! As expansive as our reach is, the outcome of our work is equally deep. It is our firm belief that systems are built upon people and if a permanent change has be brought about, the action has to be at their level. 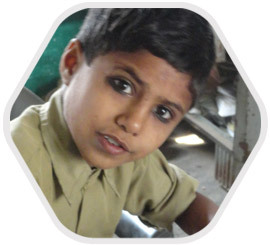 In the education system, the highest impact areas for Rupantar are : teacher motivation and empowerment; vision and insight development among government decision makers; leadership skills for education administration; management skills for principals; empathy and guidance for students; and participation of parents and communities. 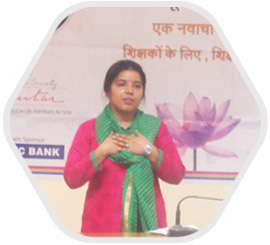 Combining strategy and spirituality, all our projects begin with motivational self-discovery trainings, and then at every step of the project multiple opportunities are created for participants to demonstrate the more enlightened ways of doing things. When they see how swiftly their self-initiative is able to transform a classroom, inspire co-workers, and earn respect from community; they experience a mindset-shift. It is this unearthing of an individual’s innate capabilities and potential, one person after the other, that is leading to a paradigm shift in the way the education machinery works. 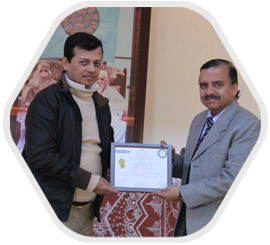 Integral Education is the root of Rupantar program. 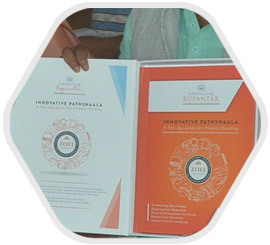 No matter which problem of the education system is being addressed, all Rupantar projects are designed to inspire teachers and other stakeholders (education officers, principals, students, parents, community) to discover their true self—the divinity and perfection that exists in everyone and remains unchanged through all circumstances of life. Gradually, they learn to bring alive this wonderful real-self into their life and work, enthusiastically exploring their chosen field to its utmost potential. And along the way there is a greater discovery: A sense that there is something bigger than themselves, a cause to which these individuals commit themselves with all their passion and energy, a higher consciousness with which one is able to participate in the earth’s evolution. Transformation of Government Schools - one in every district of the country - as role models of harnessing existing resources. Create new ways of teaching learning to make curriculum more values-based, relevant and joyful, for better learning and retention.